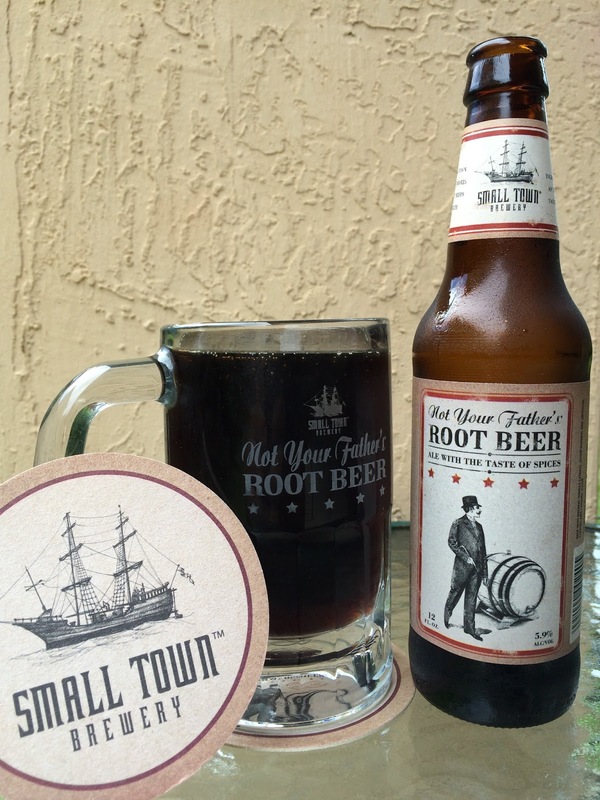 Small Town Brewery recently sent me a crate that contained a few bottles of Not Your Father's Root Beer, a mug and some branded coasters. This is a craft root beer with 5.9% alcohol, thus the name. The label depicts an old-timey top hat guy with a barrel of root beer. Smell is fantastic, full of sassafras, vanilla, pretty spicy. Oh, yeah! Beautiful flavors. Spicy vanilla, sassafras, hints of licorice. Just yum. 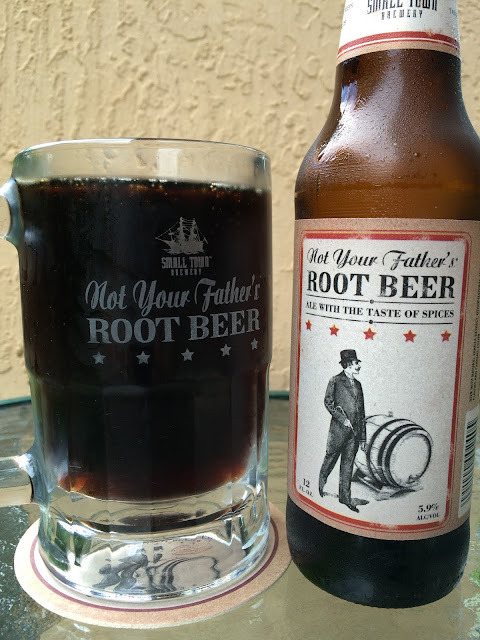 Craft root beer with alcoholic kick delivered on the smoothest fine bubbles. Sweet but fine. But for real, this is nothing like what any beer drinker would consider a beer. It's a hard root beer, the end. Needs its own category, no comparison. Sweet for sure and one bottle certainly enough. The other bottle, however, will meet its match with a scoop of vanilla ice cream in the coming days. Definitely "an unmistakable taste of nostalgia?"